Emil von Behring, born as Emil Adolf Behring, was a German physiologist who received the 1901 Nobel Prize in Physiology or Medicine, the first one awarded, for his discovery of a diphtheria antitoxin. He was widely known as a "saviour of children," as diphtheria used to be a major cause of child death. He was honored with Prussian nobility in 1901, henceforth being known by the surname "von Behring." The Karolinska Institute is a research-led medical university in Solna within the Stockholm urban area of Sweden. It covers areas such as biochemistry, genetics, pharmacology, pathology, anatomy, physiology and medical microbiology, among others. 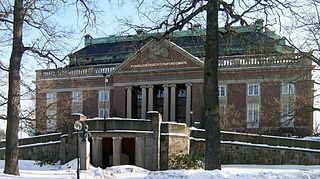 It is recognised as Sweden's best university and one of the largest, most prestigious medical universities in the world. It is the highest ranked in all Scandinavia. The Nobel Assembly at the Karolinska Institute awards the Nobel Prize in Physiology or Medicine. The assembly consists of fifty professors from various medical disciplines at the university. The current rector of Karolinska Institute is Ole Petter Ottersen, who took office in August 2017. A Medicine or Physiology Nobel Prize laureate earns a gold medal, a diploma bearing a citation, and a sum of money. These are awarded during the prize ceremony at the Stockholm Concert Hall. Laureates have been awarded the Nobel Prize in a wide range of fields that relate to physiology or medicine. As of 2010 [update] , eight Prizes have been awarded for contributions in the field of signal transduction through G proteins and second messengers. 13 have been awarded for contributions in the field of neurobiology  and 13 have been awarded for contributions in Intermediary metabolism. 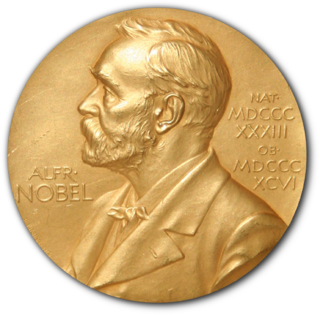 The 100 Nobel Prizes in Physiology or Medicine have been awarded to 195 individuals through 2009. Twelve women have received the prize: Gerty Cori (1947), Rosalyn Yalow (1977), Barbara McClintock (1983), Rita Levi-Montalcini (1986), Gertrude B. Elion (1988), Christiane Nüsslein-Volhard (1995), Linda B. Buck (2004), Françoise Barré-Sinoussi (2008), Elizabeth H. Blackburn (2009), Carol W. Greider (2009), May-Britt Moser (2014) and Youyou Tu (for her discovery of artemisinin)(2015). Only one woman, Barbara McClintock, has received an unshared prize in this category, for the discovery of genetic transposition. Mario Capecchi, Martin Evans, and Oliver Smithies was awarded the prize in 2007 for the discovery of a gene targeting procedure (a type of genetic recombination) for introducing homologous recombination in mice, employing embryonic stem cells through the development of the knockout mouse. There have been 37 times when the Nobel Prize in Physiology or Medicine was awarded to a single individual, 31 times when it was shared by two, and 33 times there were three laureates (the maximum allowed). ↑ "Nobel Prize website- Physiology and Medicine 2018". ↑ Golden, Frederic (16 October 2000). "The Worst And The Brightest". Time Magazine . Time Warner. Retrieved 9 April 2010. ↑ Sohlman, Ragnar (1983). 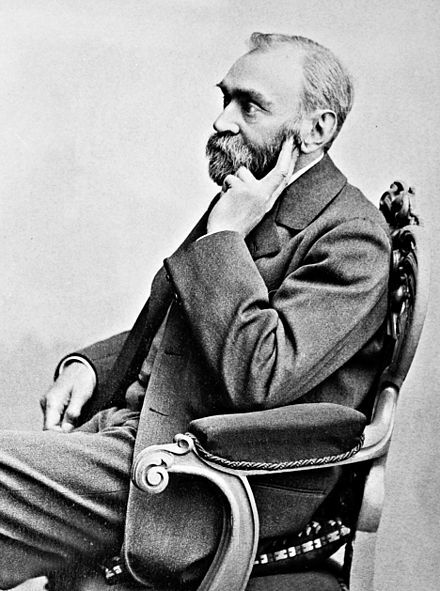 The Legacy of Alfred Nobel – The Story Behind the Nobel Prizes (First ed.). The Nobel Foundation. p. 13. ISBN 978-0-370-30990-3. ↑ Foundation Books National Council of Science (2005). Nobel Prize Winners in Pictures. Foundation Books. p. viii. ISBN 978-81-7596-245-3. 1 2 Bishop, J. Michael (2004). How to Win the Nobel Prize: An Unexpected Life in Science. Harvard University Press. pp. 23–24. ISBN 978-0-674-01625-5. 1 2 "The Nobel Prize Diplomas". Nobelprize.org. Archived from the original on 1 July 2006. Retrieved 15 January 2010. ↑ David Landes (2009-10-12). "Americans claim Nobel economics prize – The Local". Thelocal.se. Retrieved 2010-01-15. ↑ Tinbergen, Nikolaas (12 December 1973). "Ethology and Stress Diseases" (PDF). nobelprize.org. Archived from the original (PDF) on 27 March 2009. Retrieved 16 June 2010. ↑ "Women Nobel Laureates". Nobelprize.org. Retrieved 1 May 2018. ↑ "The Nobel Prize in Physiology or Medicine 1983 Barbara McClintock". Nobelprize.org. Archived from the original on 8 June 2010. Retrieved 21 June 2010. ↑ Hansson, Göran K. "The 2007 Nobel Prize in Physiology or Medicine – Advanced Information". Nobelprize.org. Archived from the original on 16 October 2010. Retrieved 26 June 2010. 1 2 Judson, Horace (2004). The great betrayal: fraud in science. Houghton Mifflin Harcourt. p. 291. ISBN 978-0-15-100877-3. ↑ Banting FG, Best CH (1922). "The internal secretion of pancreas" (PDF). Journal of Laboratory and Clinical Medicine. 7: 251–266. Archived from the original (PDF) on 23 June 2010. ↑ Murray, Ian (1969). "The search for insulin". Scottish Medical Journal. 14 (8): 286–293. doi:10.1177/003693306901400807. PMID 4897848. ↑ Gonzalez, Constancio; Conde, Silvia V.; Gallego-Martín, Teresa; Olea, Elena; Gonzalez-Obeso, Elvira; Ramirez, Maria; Yubero, Sara; Agapito, Maria T.; Gomez-Niñno, Angela; Obeso, Ana; Rigual, Ricardo; Rocher, Asunción (12 May 2014). "Fernando de Castro and the discovery of the arterial chemoreceptors". Frontiers in Neuroanatomy. 8: 25. doi:10.3389/fnana.2014.00025. PMC 4026738 . PMID 24860435. ↑ El-Hai, Jack (2005). The Lobotomist: A Maverick Medical Genius and His Tragic Quest to Rid the World of Mental Illness. Wiley. p. 14. ISBN 978-0-471-23292-6. ↑ Day, Elizabeth (12 January 2008). "He was bad, so they put an ice pick in his brain..." The Guardian. Guardian Media Group. Retrieved 31 March 2010. ↑ Fredholm, Lotta (30 September 2003). "The Discovery of the Molecular Structure of DNA – The Double Helix". Nobelprize.org. Archived from the original on 19 June 2010. Retrieved 16 June 2010. ↑ Holt, Jim (28 October 2002). "Photo Finish: Rosalind Franklin and the great DNA race". The New Yorker. Retrieved 19 June 2010. ↑ Enserink, Martin; Jon Cohen (6 October 2008). "Nobel Prize Surprise". Science Now. Archived from the original on 12 December 2010. ↑ Charter, David (19 December 2008). "AstraZeneca row as corruption claims engulf Nobel prize". The Sunday Times . London. Archived from the original on 19 December 2008. Retrieved 22 June 2010. ↑ Wilhelm, Peter (1983). The Nobel Prize. Springwood Books. p. 85. ISBN 978-0-86254-111-8. 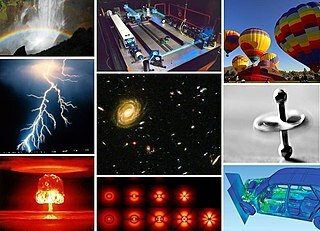 Wikimedia Commons has media related to Nobel Prize in Physiology or Medicine .